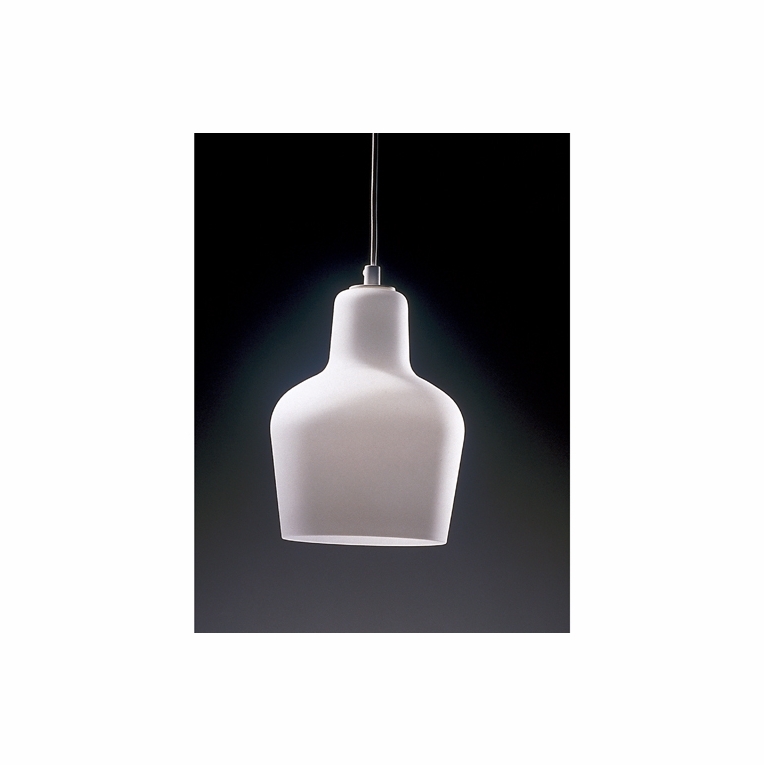 This "Glass Bell" pendant is based on Aalto's "Gold Bell". The diffuser is made of hand-blown satin opal glass with painted matte white steel details. First produced in the 1950's, it was reintroduced in 1995 to commemorate Artek's 60th anniversary. Price is for a single bell. Contact us if your room is higher than 8 feet.Please review our Shipping Information page before ordering. Payment: 50% will be charged at time of order, remainder will be charged at time of shipment.